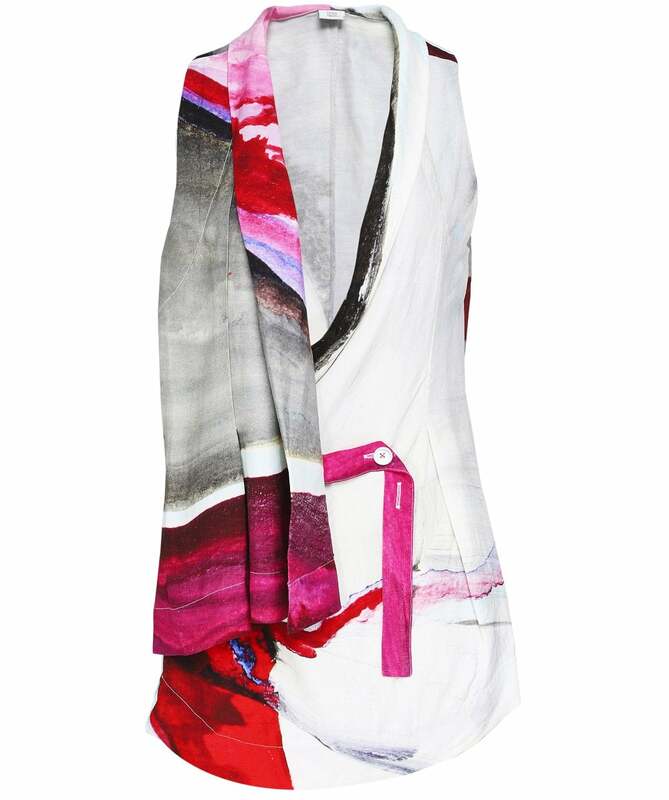 Get a sophisticated yet contemporary look with the Crea Concept abstract print waistcoat. Expertly crafted from a lightweight linen blend fabric to allow for stylish spring/summer layering, this gorgeous jacket features a distinctive multi-colourway print. The waistcoat fastens in two ways, with an adjustable button closure to the outside and a wrap style tie fastening to the inner. A shawl collar, contrast stitching and an asymmetric hem provide a modern finish.